MongMong-Toto-Maite is located in the central part of the island. These three villages are bordered by Barrigada and the capital city, Hagatna. 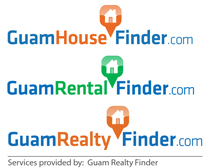 All three of these villages rest along a major roadway fronting Tiyan and the Guam International Airport. MongMong, Toto, and Maite are just a few minutes away from the U.S. Naval Hospital in Agana Heights and downtown Tamuning. If you need to travel to Guam’s southern villages, it will take you approximately twenty to thirty minutes to get to the U.S. Naval Station in Santa Rita. Everything from here is very close in proximity of each other. The village is great for anyone who is new to Guam. Its central location makes it easy to get around and become familiar with the island’s roadways. Aside from the airplanes flying directly over the tri-village area before landing in the neighboring area of Tiyan, many residents of MongMong-Toto-Maite find it to be a very quiet and peaceful place to live. The combined population of these three villages is made up of approximately 10,500 people. The MongMong and Toto areas are generally rural and residential. MongMong is the most populated of the three villages and is surrounded with lush vegetation. Toto is known for its winding roads and wetlands while Maite is known for its majestic views of Guam’s sunset just off its cliff. Living in these areas you can expect to find homes that are built close to each other. Many of the homes have walls surrounding the property to add more privacy. In the MongMong area, you would find more homes with more yard space and further apart than you would find in the Toto and Maite villages. All three areas do provide houses, condominiums, and apartment complexes. Within the area you will find that there is a lot of commerce action happening within the borders of these villages. Along Route 8, where Maite and Toto are located, this area is filled with industrial warehouses, hardware and furniture stores, various banking institutions, small convenience stores, and other small businesses. The area also provides Juan Q. San Miguel Elementary School and Harvest Christian Academy. These are the only two schools in the village. Every year, you can expect to indulge in great food and a fun-filled family environment where the entire village gathers and celebrates their village fiestas. For this area, only two of the three villages host a fiesta. Either way, you are sure to have a great time and eat great local food. We hope you find MongMong Toto Maite as enjoyable as we do.